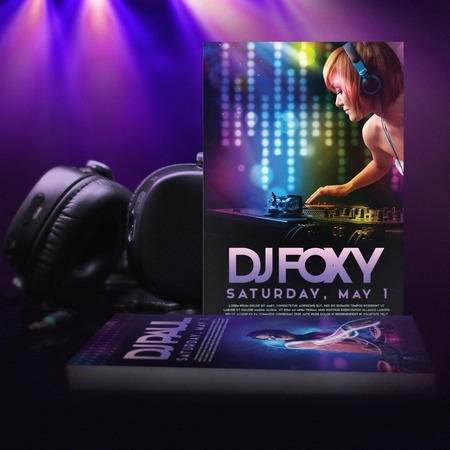 Promote events and party places with club flyer printing. Printed club flyers are economical and easy to distribute, helping you reach a wide audience with less time and effort. Club card flyers can be used for promotions or serve as ticket passes or invitations like save the date flyers. Distribution is common in places with high foot traffic like subways and malls. They work anywhere your target market is. Our club flyers are all printed using thick and durable card stocks in 14 pt., 16 pt., and super-thick 17 pt. The stocks are done with a glossy, matte, or uncoated finish. The gloss and matte options have an added water-based coating. This makes them more resistant against scratches and dirt marks. All paper stocks are available for printing in a wide range of large and small sizes. Rounded corners can also be added to your club flyers for a modern look. Your printed club flyers can also be shipped in as soon as 1 business day. For any questions on how to make club flyers or flyer printing in general, you can call us at 888-888-4211. Our lines are open Mon-Fri: 24 hours & Sat-Sun: 8am-5pm PT. Try club flyer printing today.